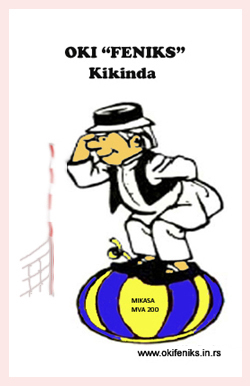 Invitation was sent to many addresses and this event was dedicated to the sitting volleyball and our commitment to bring back it's reputation and the place it deserves. This was an attempt to spark the city and provincial structures for the sport we love, to initiate the formation of valid organizations, clubs and competitions. Through the news on these pages you have already learned something about the current situation, what are the aspirations, actions and results. 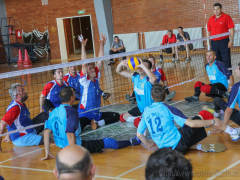 Propagation and encourage the development of sitting volleyball is an integral part of our club Statute. The first pilgrim steps in this direction are dating from 2010. and our meetings with Bačka Palanka and these were successful. 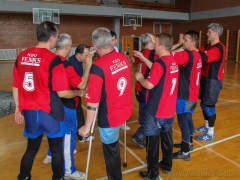 The idea for this sports event came in the same period, but it has become possible only with the help of sponsors, the CAR EX company from Novi Sad. Why in Novi Sad? The capital of Vojvodina is a logical choice as her volleyball center, so the logical thing would be set back here the center of sitting volley, too. 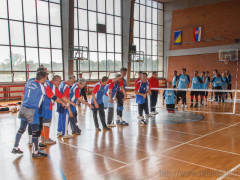 As it is much bigger city than Kikinda, it is potentialy much larger source of players, coaches, referees and other essential support. On the other hand, Brčko is away from Novi Sad about the same as Kikinda, and as the third, and not less important, is that we found interested sponsor right from here. 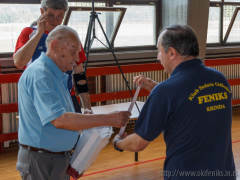 At the opening ceremony the acknowledgement and modest gifts were presented to the CAR EX from our president - Dragoslav Đuričin. 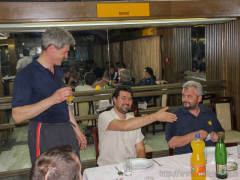 We were pleasantly surprised by the enthusiasm and support provided from the director Dušan Kosanović & his friends and so we use this opportunity to say "Thanks for everything" one more time. 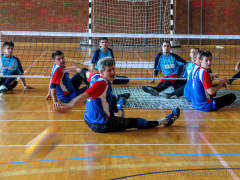 Sitting volleyball was very succsessfull sport in eighties. 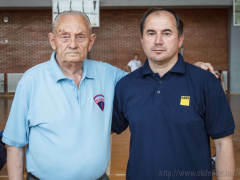 Selector & coach of the representation of Vojvodina, the champions of former Yugoslavia, was a famous volleyball worker Mr Srđan Ilić. On the 41st page of his autobiographical blog he wrote that our coach Branislav Dragin is "the heir by his will." On that occasion, Dragin gave acknowledgement and the gift to his mentor. 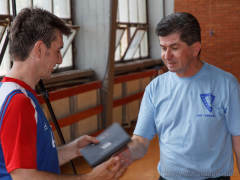 Mr Ilic replied with the reminder of the golden years of sitting volleyball and gave to our Mourinho his comprehensive collection of documentation about sitting volleyball. Unfortunately, in this moment all the clubs in Serbia are the options of quite modest levels and the choice were the clubs from Bačka Palanka, Subotica, Kragujevac and Belgrade. Thus, we decided to invite the OKI Brčko, primarily because we are good friends and bitter rivals, the team we always play manly and uncertain matches with. This is a team that was, so to speak, in our ranks. They have the power, we have a motive. Our friendship and cooperation with OKI Brčko is spontaneously initiated from the first meeting in Belgrade three years ago, continued in their midst and constantly deepening in various tournaments in BiH and Serbia. President of OKI Brčko, Mr Avdija Banda has received gifts and acknowledgement from our captain and Serbian representative, Dragiša Brandić and he responsed with gift for OKI Feniks. 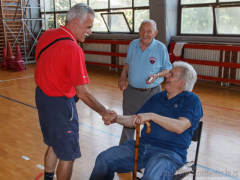 Acknowledgement is sent to the Head of the Faculty of Sport and Physical Education Mr prof Dejan Madić as he approved the "Đačko" hall court for playing a match within the prescribed time period and without costs. 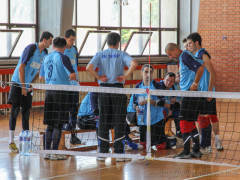 We thank to the Volleyball Association of Novi Sad, which was promptly transferred our invitation to their web site and, of course, to the referees from Kikinda that are traditionally supporting us. We are sad about the modest attendance. It seems it was too hot and moist day that turned away many people to change their minds and do not come. Perhaps they celebrated the placement of male national team to the Olympics in London (in Japan, match vs Iran was played just this morning). 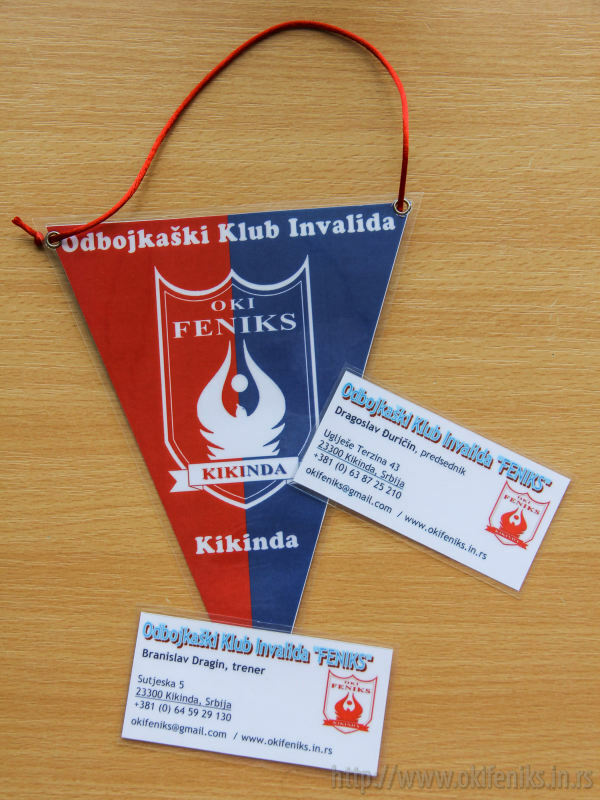 OKI Feniks is sending the kindest thanks to those who, however, came! Among them were a farknown: Slobodan Boškan, Strahinja Kozić, Slobodan Galešev, Milan Vlajkov, Aca Zavišin, and showed interest and desire to help our mission. 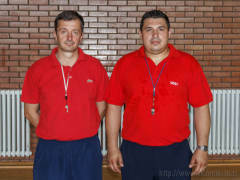 (The first three of these names can be found on the website of "OK Vojvodina"). 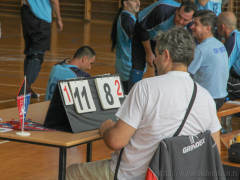 The anxiety about organization and concern about the details costed us by the quick loss of the first set, but subsequently developed in an interesting, good and battle match. Attendees had the opportunity to see a lot of nice things provided by our sport. Besides the starters, the players from the benches on both sides seized a good opportunity to demonstrate a good play. We were narrowly defeated in five sets, but it is certainly not essential to this story. After all, it is important that the general impression is very positive, although it is clear that such a limited scope is not satisfactory and that we must continue with such missions. We must fight until the final goal. With this match we have become stronger, because we are not alone in this anymore. Now we have a few new/old friends, who are willing to stand with us "back to back". The Fellowship of the Rings is gathering ;). Our faithful friend, the webmaster of this site, took care that you also can feel at least the part of atmosphere, which was on this event. He immortalized the event with his new photographic equipment. Look at the first brackets made with it. On the same blog you can find this news from a very different perspective. Clicks on thumbnails lead to opening the animated GIFs! 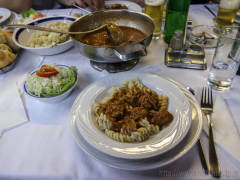 Socializing of teams and recovering of the consumed energy followed in relaxed atmosphere in the "Oaza" restaurant. Best regards and until the next meeting!